In 2015 TheTaste brought you all of Ireland’s most prestigious and important food events and festivals. We don’t want you missing out this year so keep checking back here for updates on Ireland’s food and drink scene. 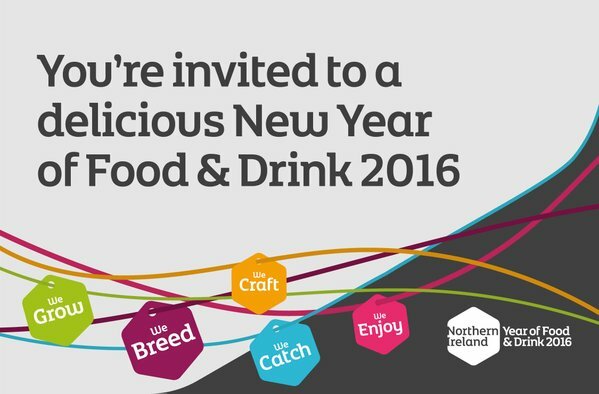 Year of Food and Drink Northern Ireland – 2016 is a celebration of everything delicious in Northern Ireland. With themed events taking place throughout the year, it is sure to put Northern Ireland’s food industry in the spotlight. Hospitality Expo 3rd & 4th – One of the biggest events for trade throughout the year, the Hospitality Expo returns to the RDS this February. They are hosting the BAI Cocktail Competition and the RAI Pro Chefs Live, a great opportunity to learn kitchen management from experienced chefs. 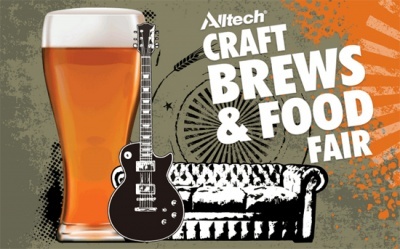 Alltech Craft Brews & Food Fair 5th-7th – Returning to Dublin’s Convention Centre for a fourth year, the fair will bring together the finest and most unusual beers, ciders, food and music. They’re even showing the 6 Nations matches on three massive screens. Food & Bev Live 16th & 17th – The hospitality event formerly known as CATEX will play host to the Cocktail Championship, the National Barista Championship and a Euro Toques live stage. Over 2,000 industry representatives are expected this year in Citywest. Dublin Bay Prawn Festival 18th-20th – Linking in this year with the festival for St. Patrick’s Day, Howth is the perfect day out this weekend with entertainment for all the family and a focus on great seafood. Experience the best prawns Dublin has to offer. Galway Food Festival 24th-28th – Celebrating Galway’s thriving culinary landscape, the Easter food festival showcases the best of local producers and eateries. With renowned, award winning chefs taking part, this is one event foodies do not want to miss. Irish Food Writers’ Guild Awards – Established in 1993 by the guild to promote outstanding quality, craftsmanship and innovation in the production of food in Ireland, the annual awards have become a prestigious badge of honour for Irish producers. 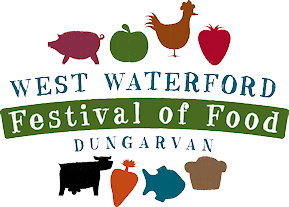 West Waterford Festival of Food 15th-17th – Hosted in the bustling foodie town of Dungarvan, this festival is only getting bigger. Now in its 9th year, the theme for 2016 is how Irish cuisine has developed over the centuries into its modern form. 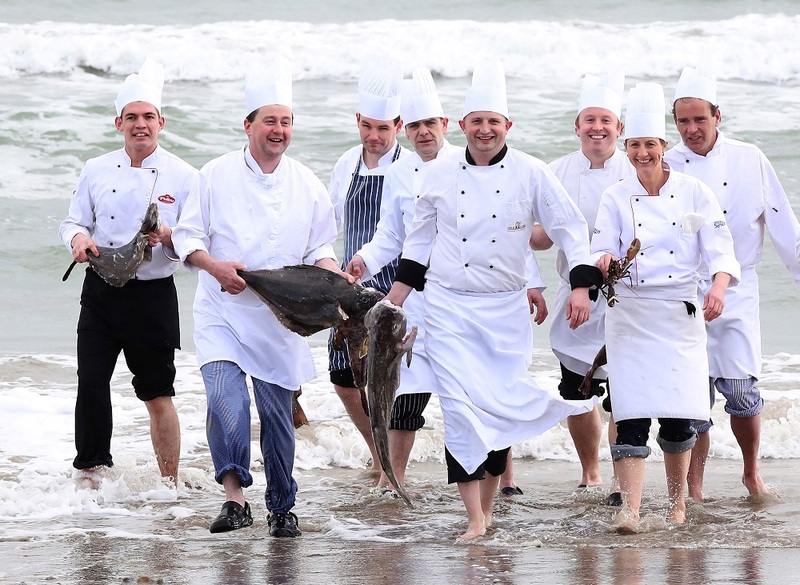 Taste the Wild Atlantic Way Street Food Festival 22nd & 23rd – Not to be confused with the Gourmet food festival in October, this Kinsale extravaganza contains the prestigious All Ireland Chowder Cook Off where winners get to travel to Rhode Island as a guest chef! Connemara Mussel Festival 29th – 1st May – Even though this local festival attracts some of the biggest names in food every year, it also focuses on culture, heritage and the arts. For a real taste of the West, make sure and spend your bank holiday in Connemara. Irish Restaurant Awards – This year’s awards will see the best of Ireland’s food industry go head to head in county and regional finals before the main event in May. Find out who is leading Ireland’s culinary movement. Kerrygold Ballymaloe Litfest of Food & Wine 20th-22nd – Here is a weekend where the folks of Ballymaloe bring together great chefs and writers to celebrate their wonderful literary traditions. It is also about incredible food and great wine and is an absolute must for food lovers. Taste of Dublin 16th-19th – Dublin’s Iveagh Gardens transform into the ultimate foodie destination for four days of eating, drinking and entertainment. The premier event for food lovers in Dublin and indeed the rest of the country. Experience the best in Irish food & drink in glorious surroundings. Westport Food Festival 24th-26th – This year the festival has moved to a prime summer slot at the end of June. The town of Westport will come together to celebrate its food with lots of great events including secret dinners, a food forum and foraging. The highlight of the weekend is a banquet celebrating Mayo food on Friday 24th in Hotel Westport. Kilmore Quay Seafood Festival – Last year’s festival was the biggest and best yet as the Wexford festival celebrated its 30th anniversary. Derry Clarke was judging seafood platters and took part in the series of live demonstrations. They also have food stalls, live music, céilís and a Teddy Bear’s Picnic for the little ones. Féile na Mara – Achill Island Festival of the Sea – This festival takes place in July and August and celebrates the harvest and heritage connected to Achill’s Atlantic waters. With a whole range of events taking place, Féile na Mara is a great experience for the whole family. Taste of Cavan – If the success of 2015 is anything to go by, Taste of Cavan 2016 is going to be huge. With all the local heroes and top Irish chefs present, and over a hundred producers and exhibitors, this festival is one to watch. Great Taste Awards – Every August the winners of the prestigious Great Taste Awards are announced. Last year, several Irish products were recognised so we will definitely have our fingers crossed for our producers this year. Dalkey Lobster Fest – The seaside village of Dalkey is well known for its seafood, now lobster is the king. This festival combines the best shellfish with vibrant jazz music that brings the whole community together. Electric Picnic – Theatre of Food 2nd-4th – The Theatre of Food has become a festival in its own right due to the involvement of top Irish chefs. Quirky and unique, this event always offers something new and you can usually learn a new skill or two. Irish Craft Beer & Cider Festival 8th-10th – Ireland’s largest celebration of Irish craft brewing is to return to the RDS featuring live music, Irish artisan food and over 200 beers, ciders and whiskeys. This is one event beer lovers will not want to miss. Waterford Harvest Festival 9th-11th – Waterford has been making a name for itself in food circles recently thank to events such as the harvest festival. A collaborative initiative, it brings the food community of the south east together to showcase their produce and talent. A Taste of West Cork 9th-18th – So good they couldn’t fit it in to just a weekend, this festival brings throngs of foodies to Skibbereen to sample a unique mix of food markets and demonstrations, cookery competitions, special dinners, brunches and banquets, food-tastings, talks, exhibitions, children’s events and more. Food & Hospitality Ireland Expo 14th & 15th – Citywest is home to Ireland’s largest event for food, drink, hospitality and retail. With over 120 exhibitors and a dedicated Speciality & Fine Food Fair, this event is a great opportunity to meet industry figures and hear from influential producers and suppliers. Clarenbridge Oyster Festival – The town of Clarenbridge has been involved in oyster farming since Roman times. Every year since 1954 they have held this festival in honour of their community and its seafood connections. Experience the time honoured tradition for yourself this September. Galway International Oyster and Seafood Festival 23rd-25th – Another seafood festival for enthusiasts to enjoy, this one takes place over the last weekend of September. The festival hosts the World Oyster Opening Championships and welcomes around half a million visitors every year. Irish Quality Food Awards – Hosted last year by Derry Clarke in the Mansion House, these awards are growing in prestige and also popularity. 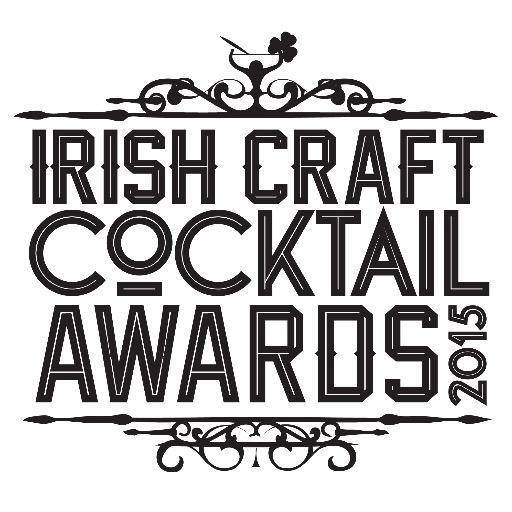 This year will recognise the finest of Irish producers and reward their dedication. AA Hospitality Awards – The Irish branch of the AA awards have a new award for Foodie of the Year for which our very own Niamh Mannion was shortlisted. We will keep you posted of this year’s nominees and winners. Oktoberfest – We can’t leave out what is probably the biggest celebration of beer in Dublin! Running through September, Oktoberfest is a little piece of Germany right in the heart of the docklands. Prost! Dingle Food Festival 30th-2nd Oct – This local festival is organised by a volunteer group and any proceeds go to charity. Highlights of the Dingle Peninsula Food Festival include a taste trail in over 60 outlets, where festival goers can sample local delights in locations that vary from pubs and galleries to shop and restaurants. Kinsale Gourmet Festival 7th-9th – Last year’s event, organised by Kinsale’s Good Food Circle was completely sold out and there is already a presale waiting list for tickets to 2016’s festival. If you like food and love fish, Kinsale is the place for you this October. Irish Food Awards – Blas na hEireann – The Blas awards have been awarded for nearly ten years and is now the biggest competition for produce in Ireland. Over 2500 products compete to win awards in over 90 food and drink categories as well as key awards such as Supreme Champion and Best Artisan Producer. Food on the Edge 24th & 25th – Last year’s symposium brought together some of the world’s most renowned chefs and foodies to reflect on the state of the industry. The brainchild of JP McMahon, he chooses speakers for their passion and ability to inspire. Already signed up for 2016 are Luciana Bianchi and Massimo Bottura so get your tickets now! Savour Kilkenny 28th-31st – What better way to spend your bank holiday than sampling the finest food and drink that Kilkenny has to offer. Home to a thriving culinary scene, Kilkenny’s Savour festival is a showcase for all the local talent and award winning restaurants. Foodie Towns Competition – October sees the culmination of this year’s Foodie Town of the Year competition, organised by the RAI. They want to celebrate excellence across Ireland and not just in the old favourite towns and cities. Whiskey Live – Whiskey lovers need to take note of the world’s premier whiskey tasting show. Sample all your Irish favourites with guest producers coming in from Japan, Scotland and America to tempt your taste buds. Bite Food Festival – 2015 saw the introduction of a new festival for artisan producers and Irish retailers to come together. Taking place in the RDS, Bite hosts an array of events including drinks masterclasses, cookery demos and hands on kitchen experiences. Wild & Slow Wicklow 12th & 13th – Slow Food Ireland presents Wild&Slow 2016, a festival that celebrates everything that is good about Irish food: fresh, local, traditional and wild. The yearlong event culminates in November, when the 6th Wild Food Harvest Festival takes place in BrookLodge & Macreddin Village. Craft Cocktail Awards – A recent addition to the mixology scene in Ireland, the Craft Cocktail awards were organised by members of the cocktail industry to benefit the industry. They acknowledge the dedication, skill and talent that mixologists and bars posses.